Italians drink fernet. Parisians sip cognac. Spaniards turn to fortified wine. And in Southern California, we smoke joints. Weed as a digestif shouldn’t be so unexpected given that many of the more standard ones are derived from “herbal liqueurs” and that the cultural relevance of the “after-dinner cigarette” remains strong, even in a world where some nicotine addicts are saving time by Juuling in the bathroom. Sure, getting the munchies and eating after smoking weed is the most popular trope, but trust me, smoking weed right after a meal is just as common and calming. “If I eat too fast, I need to take a bong rip,” my friend Karen tells me. She says it soothes her digestion, and that while she will stop to smoke before eating her meals from time to time, it often eliminates her appetite altogether. Others enjoy it as a continuation of social time, first sharing a meal and then sharing some weed. 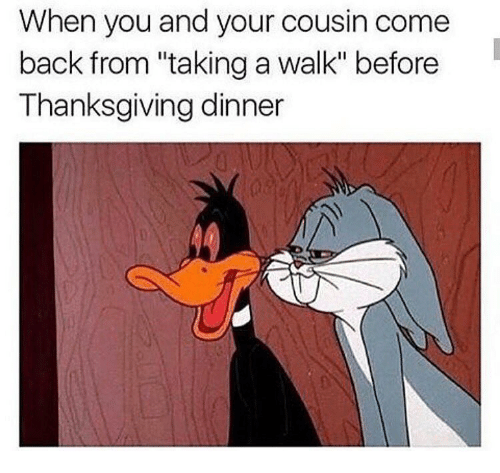 So while the special “walk” cousins go on before Thanksgiving dinner is responsible for a popular meme, most of us know that the real smokers are going for a smoke after the meal too. There’s also a future in which traditional digestifs (i.e., booze) and smokier ones (i.e., weed) are merged together. It might not be that far off either. “I was just having a conversation about deploying cannabis as an aperitif or digestif. It can be super pleasing on a different level, compared to other digestifs,” says Ross Hunsinger, the director of food and beverage innovation at True Terpenes and who has a history of running conceptual bar programs at James Beard-level restaurants such as Aviary in Portland. “Personally, I’ve made eight to ten different digestifs using plant materials, hemp seeds and a combination of both, along with flowers and other botanicals like coriander.” Hunsinger adds that he mostly makes these digestifs for private events and that the most successful ones include quinine, the terpene that gives sparkling water its refreshing mouth feel. As for those of us who will be sticking to cannabis flower as our digestif, Leafly recommends specific strains after eating, including Bay Dream (sativa), SFV OG Kush (indica) and Thin Mint Girl Scout Cookie (hybrid). Leaky gut. Per the Royal Queen Seeds Cannabis Blog, “In cases of leaky gut, tight junctions become increasingly permeable and allow access to harmful substances such as bacteria and pathogens. This can result in an inflammatory cascade. There are numerous underlying causes of leaky gut, from chronic stress and genetic predispositions to poor diet and toxin overload. An imbalance in the gut microbiota is also reported to be a cause of the condition. Similarly, phellandrene is a terpene commonly found in cannabis that’s used in Traditional Chinese Medicine to support digestion and is thought of as having antibacterial properties. Of course, for people with certain conditions, such as Crohn’s disease, smoking can trigger the same symptoms folks say it treats, so don’t self-medicate without talking to a doctor first. That said, for those of us especially into savoring cannabis after a fancy dinner, consider using the upcoming holiday season as an opportunity to introduce your guests to cannabis digestifs. You could produce your own cannabis-infused digestif Hunsinger-style, but for the less experienced among us, consider brewing some cannabis tea, spiking flavored sparkling water with a droplet of aromatic CBD oil or rolling micro-joints to be served with (or instead of) coffee at the end of the meal (including CBD-dominant strains for people who don’t like THC). The stoners will certainly feel more comfortable, but it also might become a new family tradition — one that both settles everyone’s stomach and brings a little more post-meal chill.